The drone payload market is estimated to be valued at USD 3.63 billion in 2016 and is projected to reach USD 7.72 billion by 2021, at a CAGR of 16.25% between 2016 and 2021. The application of UAVs in the commercial sector is expected to encourage developers to push the envelope in terms of payload design. The increase in processing capability would enable users to analyze data locally, thereby allowing them to make real-time decisions. This is expected to drive the development of payloads with higher capabilities. The synthetic aperture radar (SAR) segment of the UAV payload market, by type, is anticipated to grow at the highest CAGR during the forecast period. In remote sensing applications, SAR has a great potential due to its all-day, all-weather capabilities. As compared to conventional airborne or space-borne SAR systems, UAV SARs have several advantages, which include low-cost, low-risk, and timely operations. Maritime patrol radar is expected to be the second-fastest growing segment in the drone payload market, by type. North America is expected to lead the drone payload market, by region. Countries in this region include the U.S. and Canada. The North American drone payload market is mainly driven by the U.S., which has been focusing on developing faster, stealthier, and more ruggedized UAVs for use in various terrains. Adoption of UAVs for commercial applications faces various challenges in terms of regulatory policy, procedural, social, and environmental concerns. Key players profiled in the drone payload market report include Lockheed Martin Corporation (U.S.), AeroVironment, Inc. (U.S.), Elbit Systems Ltd. (Israel), BAE Systems (U.K.) and Northrop Grumman Corporation (U.S.), among others. 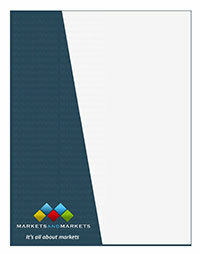 From an insight perspective, the drone payload market report has focused on various levels of analysis industry analysis, market share analysis of top players, and company profiles, which together comprise and discuss basic views on competitive landscape, high-growth regions and countries, and their respective regulatory policies, drivers, restraints, and opportunities.